Hyundai is one of the largest automobile companies in the world and it has a huge market space in the emerging markets like India. Hyundai India has tasted huge success with its sedan Hyundai Verna Fluidic, which is now one of the best selling vehicles in India. 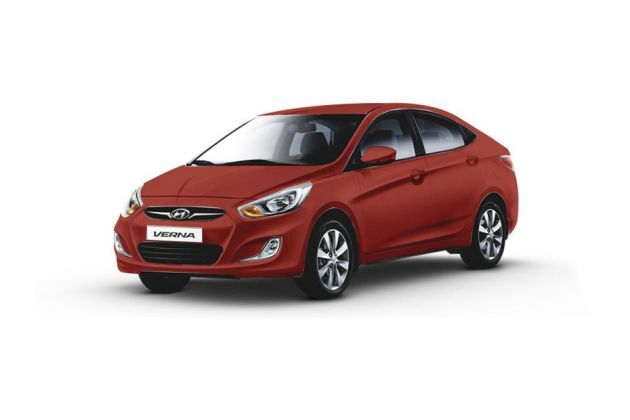 This particular sedan is made available in both petrol and diesel engine options out of which, Hyundai Verna Fluidic 1.6 SX CRDi (O) is the high end variant. The company has powered this high end trim with a 1.6-litre CRDi diesel motor, which is not just the most powerful, but also the most fuel efficient in its class. The company claims that this engine has the ability to produce a peak mileage output of about 22.32 kmpl, which is outstanding. One of the highlights of this sedan is its Fluidic body design, which makes it look modern, powerful yet very attractive. Another most significant aspect about this high end variant is its safety standards. The company has not compromised on safety aspects of this vehicle and incorporated some of the top class features including side and curtain airbags, speed sensing auto door locks, impact sensing auto door unlock and other advanced functions. When it comes to the comfort and conveniences, this vehicle has everything to offer, which can take care of all the passengers lavishly. The Hyundai Verna Fluidic is one of the most stylish sedan models available in the automobile segment and its fluidic structure caught the attention of every auto enthusiast. The Fluidic body structure has proven to be a ground breaking design in the automobile segment that helped Verna to become one of the best-selling vehicle in its segment. On the front facade, you can see the sleek yet curvy headlight cluster that has a two-piece bezel design. This curvy headlamps provides optimum brightness during nights, while adding a touch of luxury during the daytime. In the center, the hexagonally designed radiator grille comes fitted with a chrome slat and the company logo, which will amplify the premium look of this sedan. The front bumper is painted in body color and it comes with built-in stylish fog lamps that provides extra visibility in foggy conditions. From the side profile, this vehicle gives you a casual coupe like vibe with its sweeping roof and cab-forward design. The door handles comes with pull type design and they get a lot of chrome treatment. The external rear view mirrors gets body color paint and have been incorporated with turn indicators, which will add style as well as additional safety. The rear profile of this sedan gets wrap-around style taillight cluster along with well crafted boot lid and a smooth surfaced bumper. The bottom of the bumper has a chin guard sort of design where you can find the dual exhaust pipes with chrome treatment. The South Korean auto major's flagship sedan has a plush interior cabin with a stylish cockpit. The cabin of this particular trim gets a dual tone beige and black combination color scheme. The dashboard in the front cabin is extremely stylish and it houses stylishly designed AC vents and numerous advanced equipments and functions. The central console of the dashboard and the door panels have been decorated with the high gloss black and woodgrain finish that beautifies the interiors. The front cabin has been fitted with the captain seats, while the rear cabin is fitted with bench type seats and they are covered with high quality fabric upholstery. The steering wheel inside the cabin looks very sporty and it is accentuated with silver and chrome inserts. This steering wheel works as a remote control that allows you to operate a Bluetooth enabled mobile along with the audio system. This particular variant has been blessed with several exciting utility based features, which will enhance the level of convenience inside the cabin. This Hyundai Verna Fluidic 1.6 SX CRDi (O) trim is the high end variant in its model series and it is equipped with a powerful 1.6-litre diesel power plant. This motor is designed with 4-cylinders, 16-valves and incorporated with common rail direct injection fuel supply system that unleashes the engine to produce exceptional power. This DOHC based diesel motor can produce a maximum 126.3bhp at 4000rpm and generates a peak torque output of about 259.9Nm at 1900 to 2750rpm. The company has coupled this high performance engine to a 6-speed manual transmission gearbox that distributes the engine torque to the front wheels and returns a peak mileage of about 22.32 Kmpl. The South Korean automobile company is offering this particular trim with a highly reliable disc braking mechanism. The company has incorporated this braking system with an advanced anti lock braking system with electronic brake force distribution system, which will make the driving a lot safer even on wet and slippery roads. On the other hand, its electric power steering system is very responsive and makes it easier to maneuver this car. This particular variant in the Hyundai Verna model series comes fitted with a lot of comfort features that provides luxury to all the occupants inside. Some of them include an automatic air conditioning unit, an electric power steering system with tilt function, all four power windows with driver side auto down function, smart key access with illuminated start button, reverse parking sensor, rear view camera with display on ECM, electrically adjustable and foldable ORVMs, driver information system, cooled glove box compartment, MT shift indicator and several other advanced features. Also, the South Korean automobile company is offering this sedan with a 2-DIN music player that has USB, AUX-In support along with iPod cable connectivity socket . The Hyundai Verna Fluidic 1.6 SX CRDi (O) trim comes with some of the advanced safety functions that offers high level protection for the passengers inside. Two of the most significant safety features of this vehicle are the speed sensing auto door lock and impact sensing auto door unlock. Apart from these, the company is also offering the protective functions such as dual front air bags, side and curtain air bags, ABS with EBD , front fog lights, clutch lock system, central locking system and an advanced engine immobilizer system. Pros: Great features, stunning appearance, incredible mileage. Cons: Expensive price, standard safety features. Hyundai Verna 2011-2015 is available in 6 different colours - Wine Red, Phantom Black, Sleek Silver, StarDust, Passion Red, Pure white.